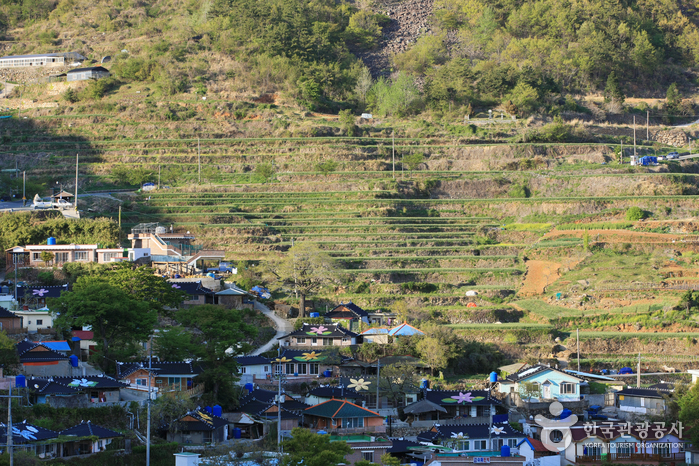 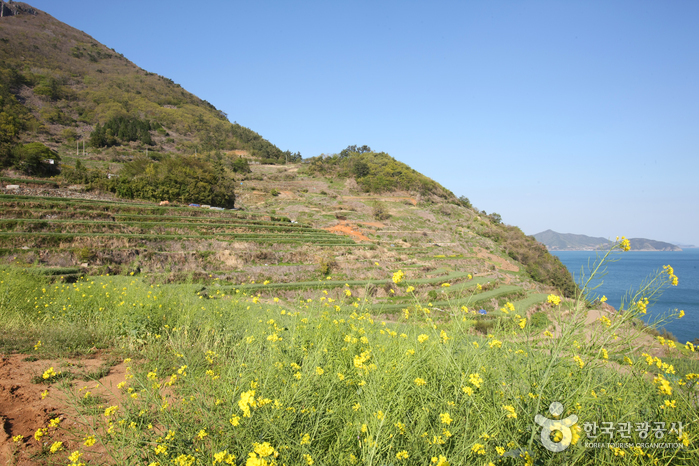 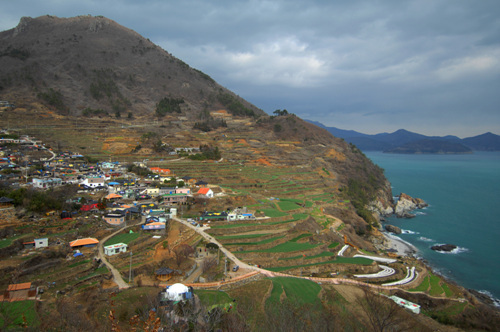 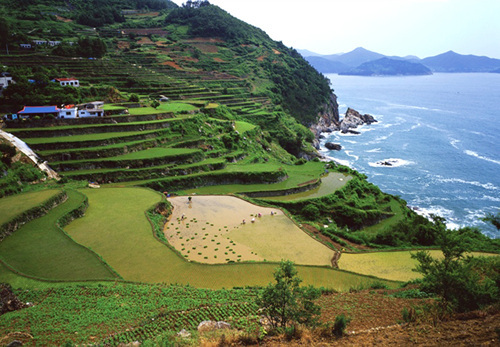 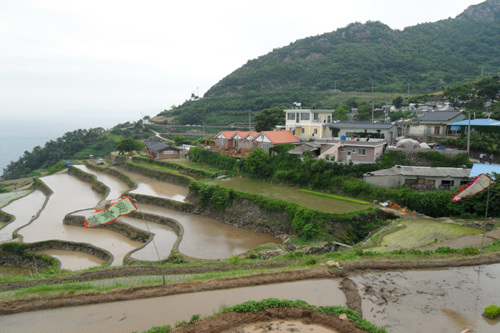 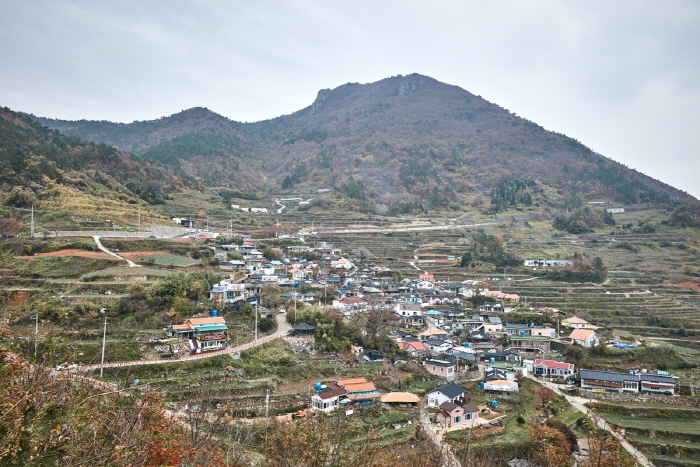 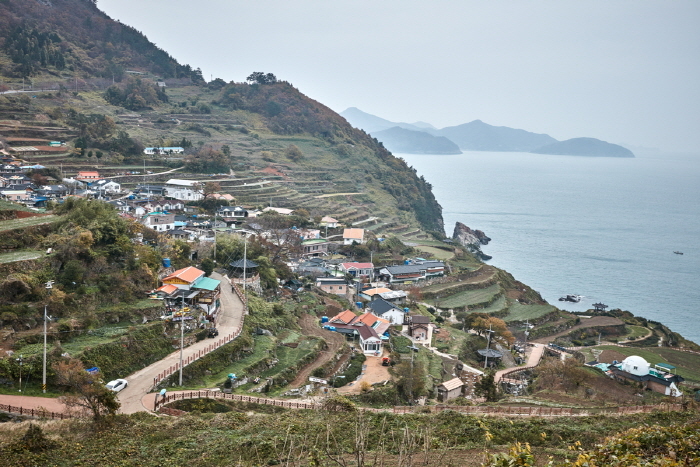 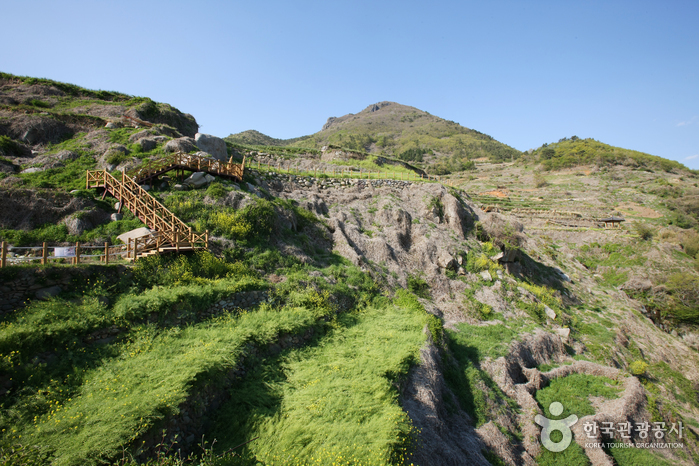 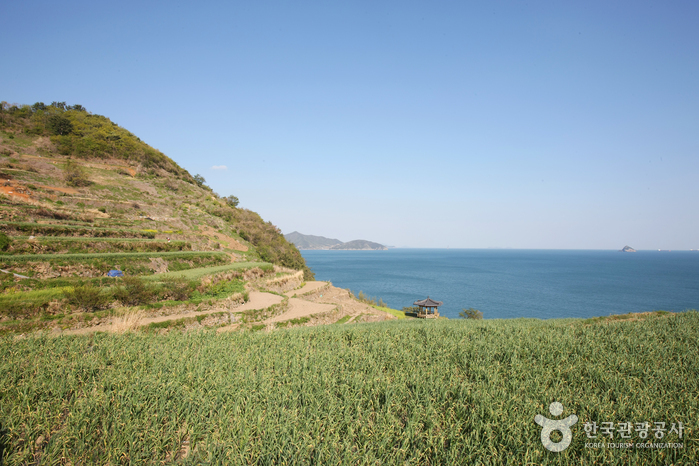 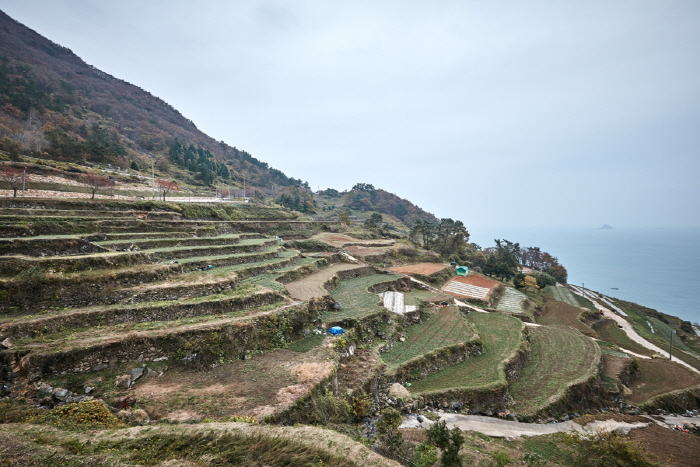 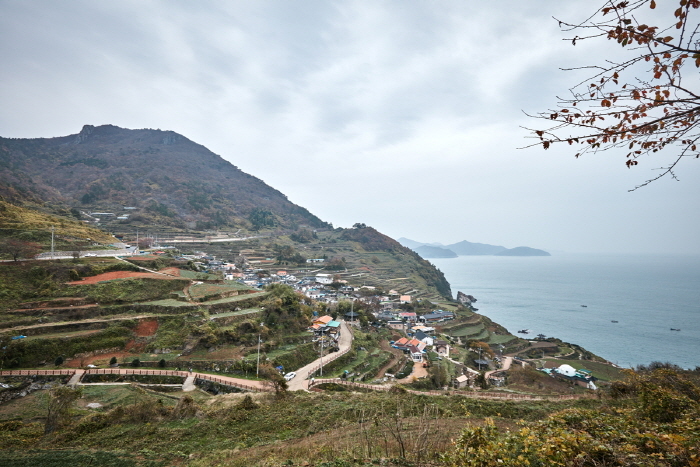 Daraengi Village in Namhae is famous for terraced rice paddies on a steep hill on the outskirts of 488 m high Seolheulsan Mountain. 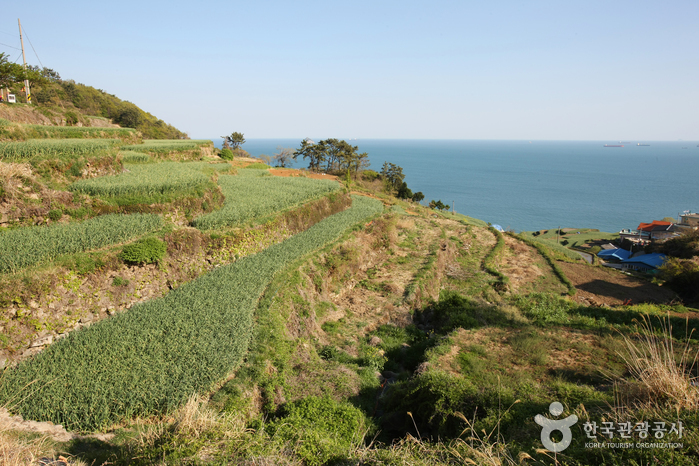 The picturesque rice paddies make up 108 steps (consisting of stones and soil) and are great for taking photographs. 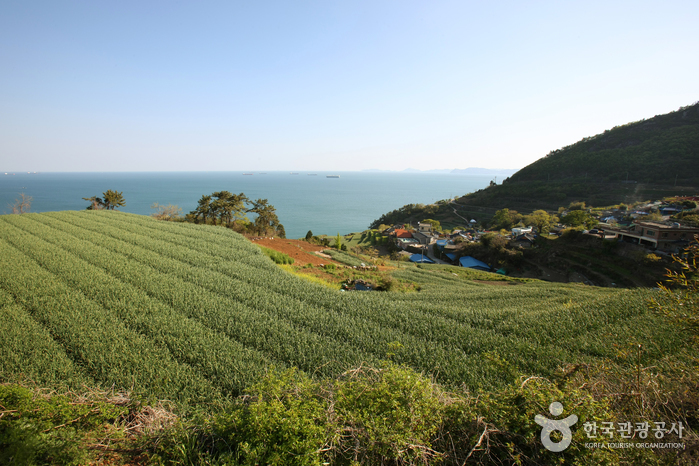 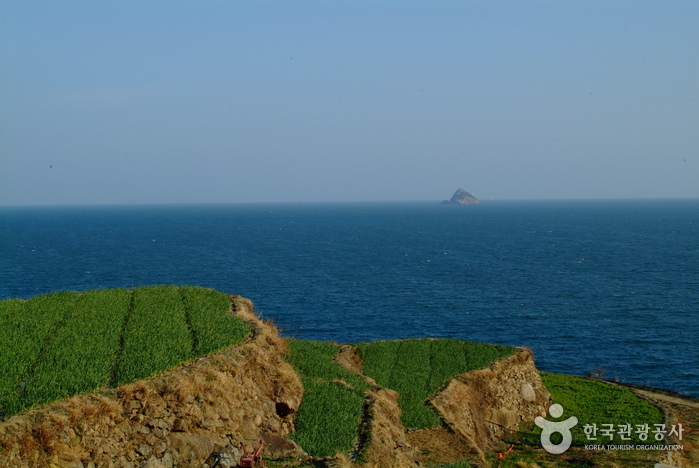 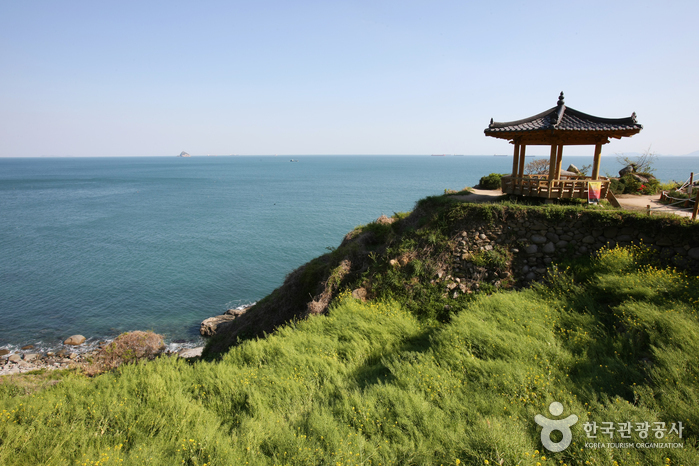 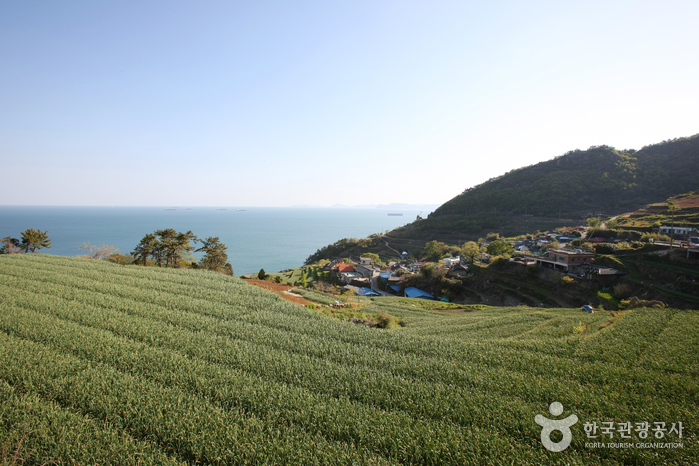 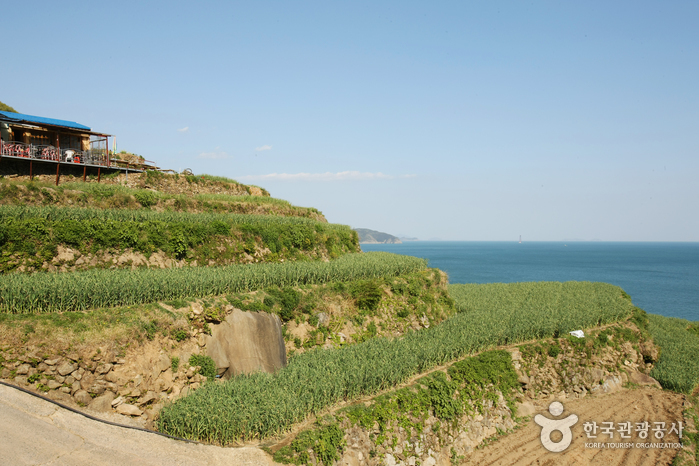 Located in the south, the village is balmy in winter, and spring greens (such as mugwort and spinach) sprout before any other place in Korea. 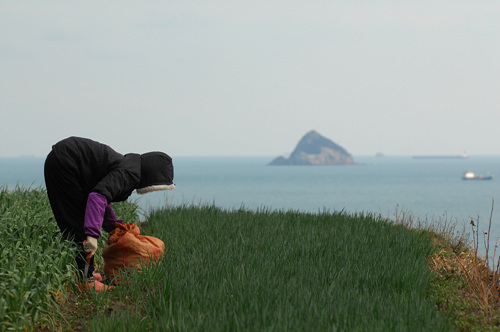 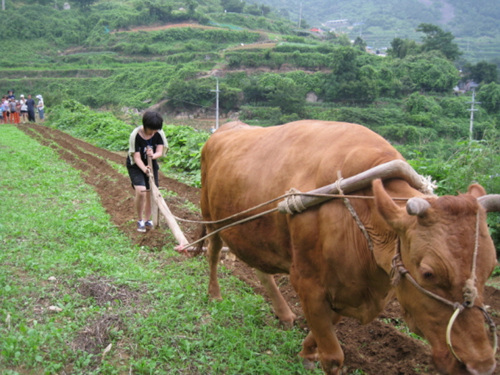 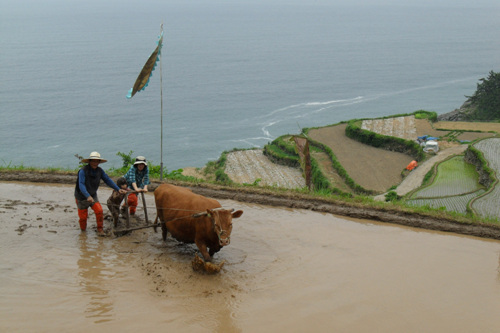 Environment-friendly agriculture flourishes because the sea breeze prevents insect pests. 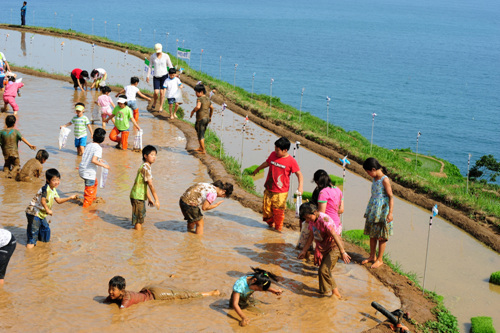 This land of friendly people and fertile soil is home to Daraengi Rice Paddy Festival every spring. 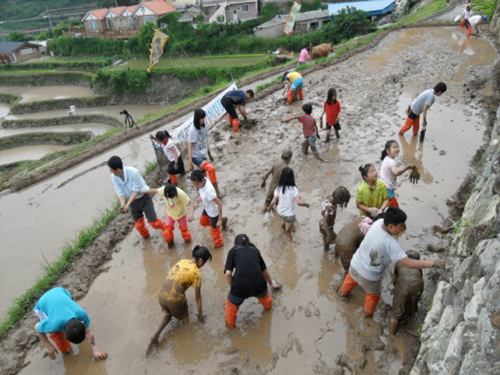 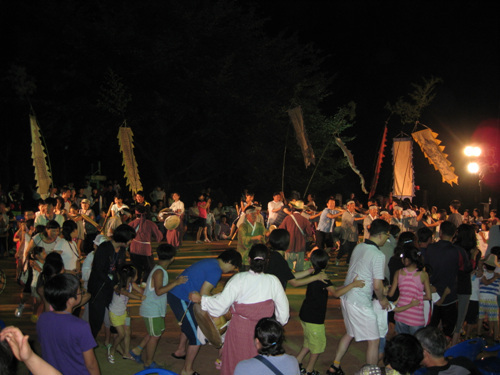 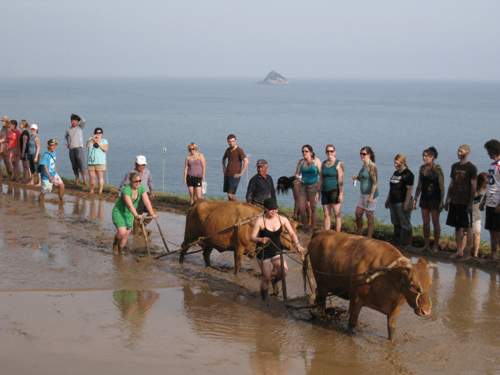 The festival offers a slew of interesting programs allowing visitors to experience traditional farming and learn cultural and natural heritage in Daraengi Village: Harrowing a Field, Straw Rope Ssireum (Korean Wrestling), Rice Planting, Running on Rice Paddies, Carrying a Wooden Carrier, and colorful performance events. 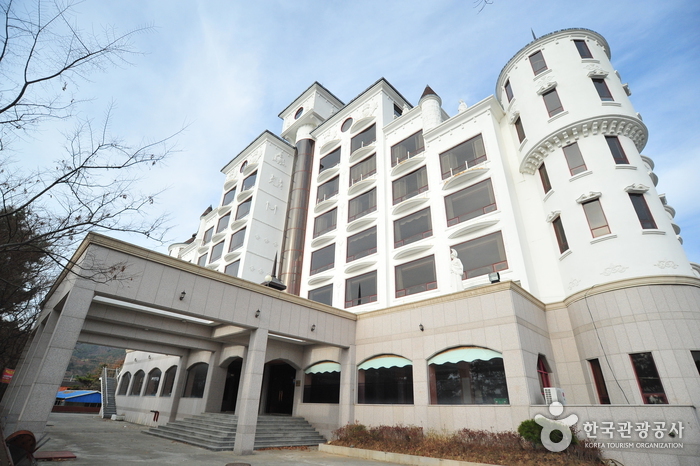 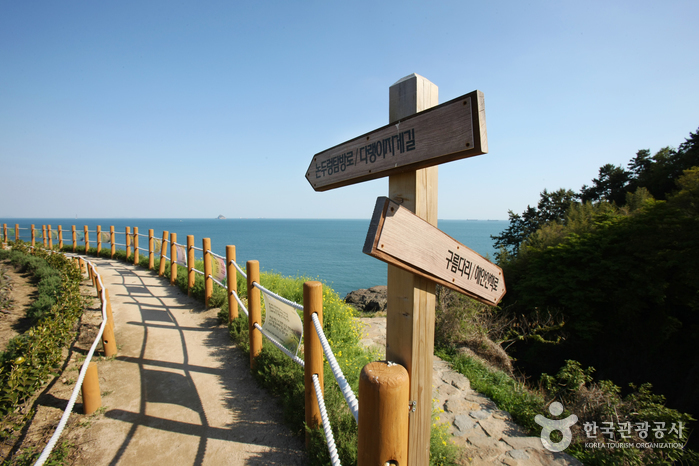 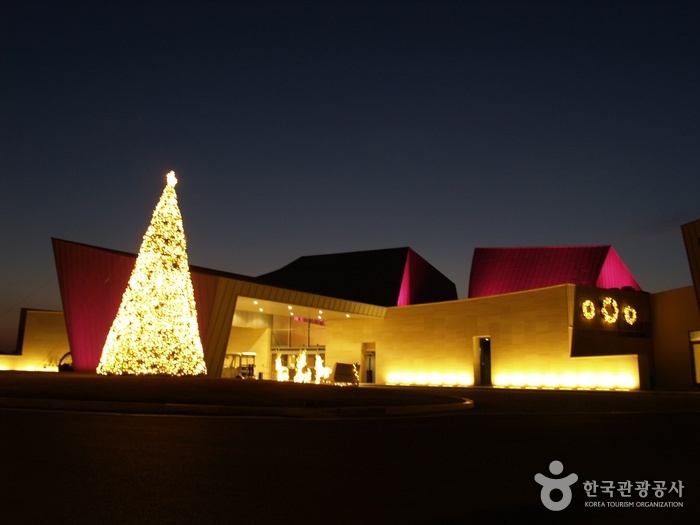 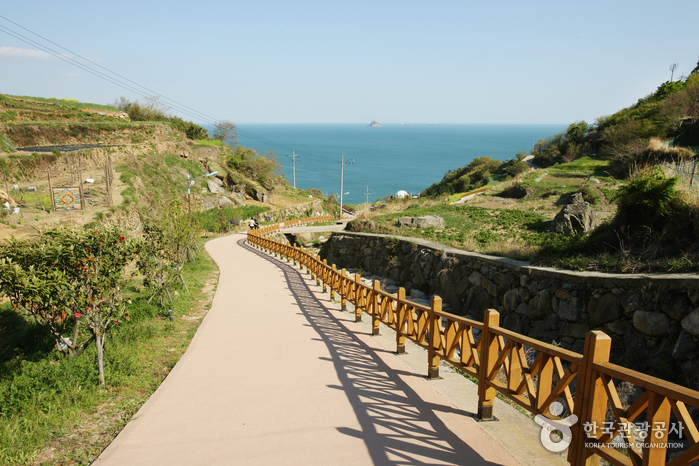 From Seoul Nambu Bus Terminal, take an intercity bus to Namhae Terminal. 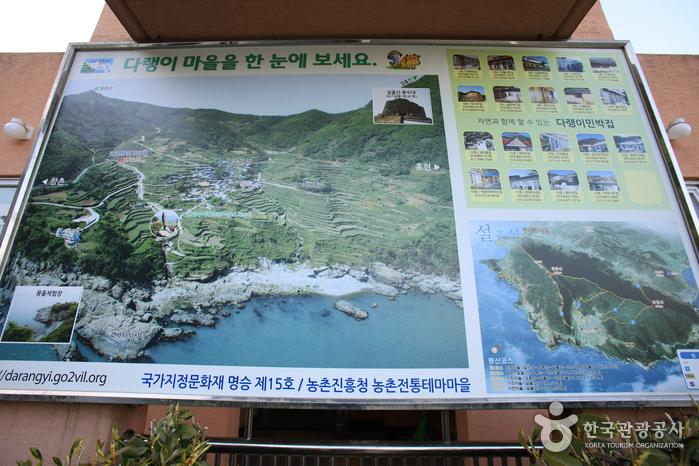 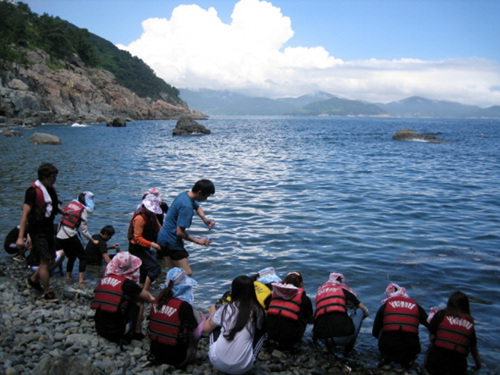 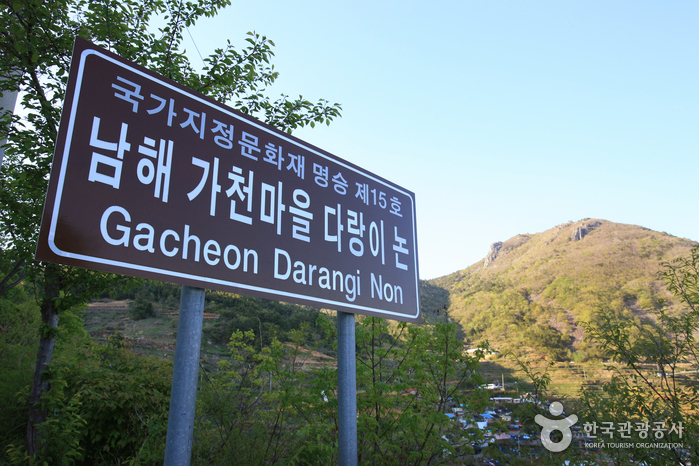 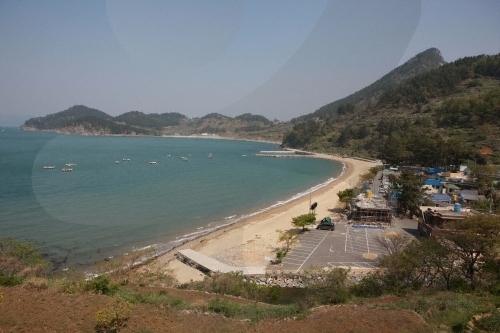 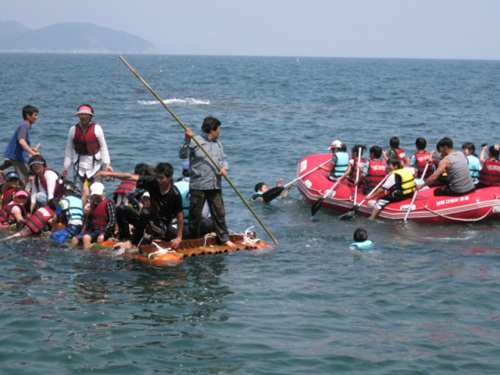 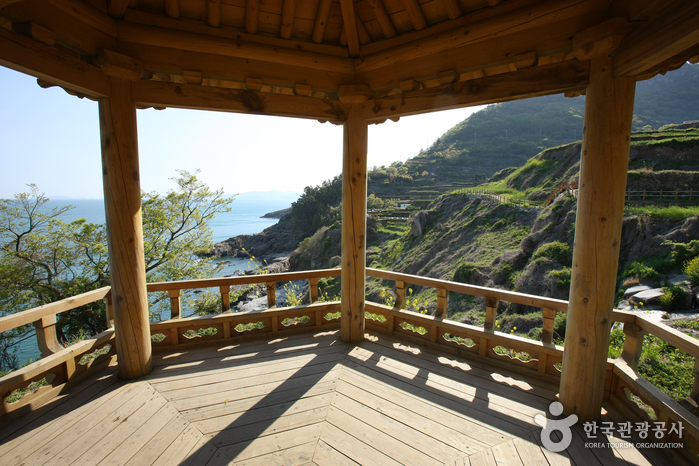 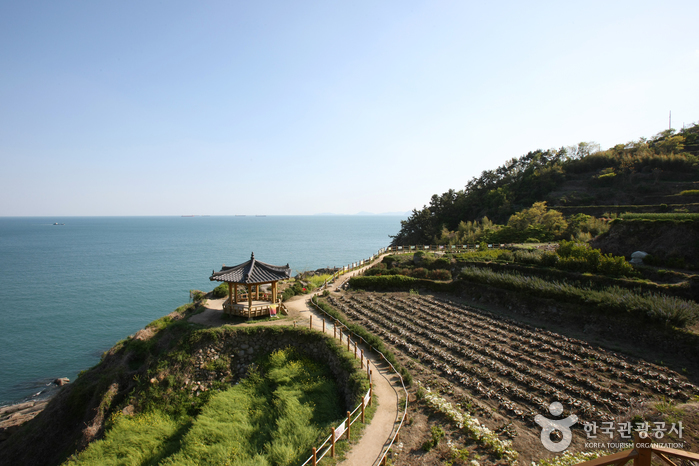 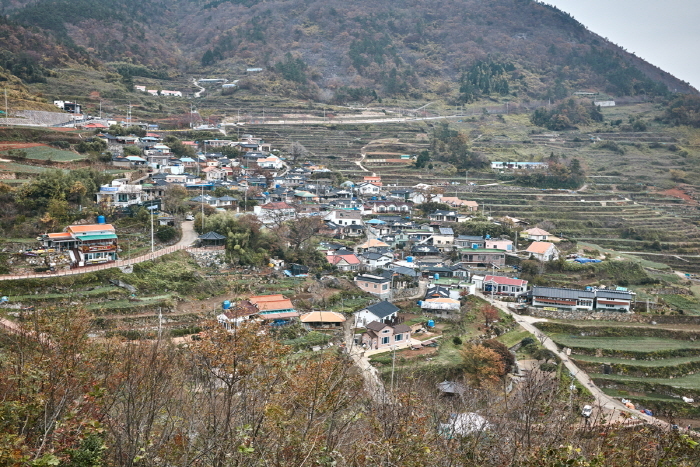 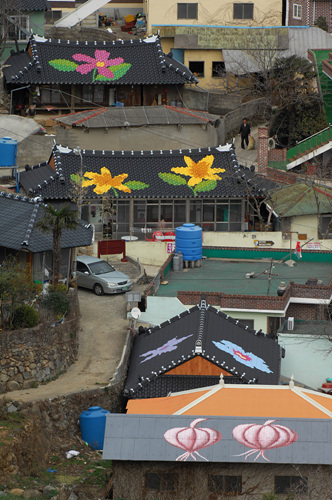 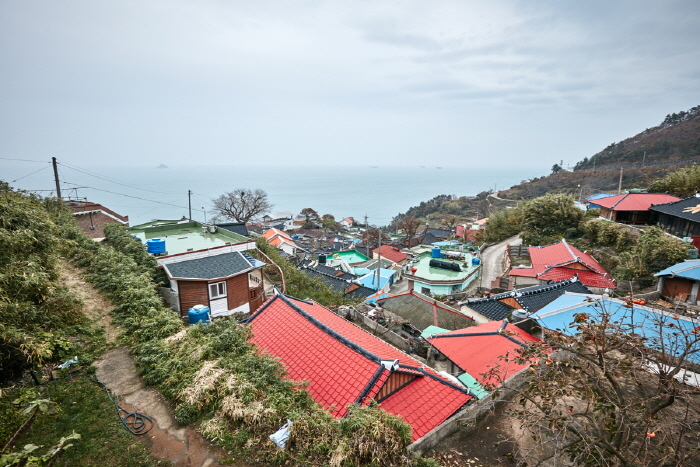 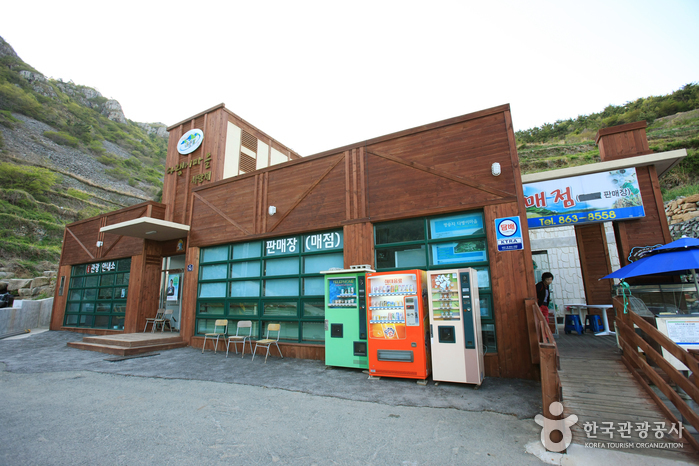 From Namhae Bus Terminal, take a local bus to Daraengi Village.